Chou Ching has an active practice in Corporate Real Estate and Real Estate Finance, with a special focus on divestment and acquisition of development sites, commercial and investment properties, and industrial buildings. Her portfolio also includes project development work. 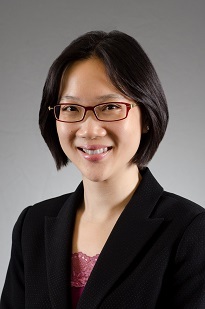 She regularly advises banks and financial institutions on property-related financing and regulatory issues and plays an instrumental role in the commencement of her clients’ mortgage lending business in Singapore, including drafting of loan agreements and memoranda of mortgage. Chou Ching represents property developers, investment funds, statutory boards, small and medium enterprises and high net worth individuals in a wide range of real estate matters. In particular, she frequently advises clients on the structuring of real estate deals and financing aspects and is often approached by clients to assist in niche and novel areas like joint developments and partitions, development projects which do not fall within the purview of the Housing Developers (Control and Licensing) Act, and acquisition and divestment of shophouses which often involve land use, policy and regulatory considerations apart from the legal aspects of the transaction. TG Development Pte Ltd and Tee Development Pte Ltd in the exchange of an aggregate of 80 units in two separate developments jointly developed by the two companies with the units estimated to be valued at S$165 million. The matter involved making multiple representations to Land Dealings (Approval) Unit on issues pertaining to qualifying certificate and for obtaining consents to the change of ownership, as well as to Inland Revenue Authority of Singapore on stamp duty considerations. Tee Development Pte Ltd in a related financing of about S$27.6 million. Maybank Kim Eng Properties Pte Ltd in the sale and leaseback of three office strata floors at Suntect City worth S$101.6 million. Singapore Academy of Law in the acquisition of its new premises at The Adelphi for $20.7 million. HL Bank in the acquisition from National Australia Bank Limited of a portfolio of property and term loans granted to medical practitioners and medical and dental clinics in Singapore ("Portfolio"). The Portfolio was transferred pursuant to Section 55C of the Banking Act and required the approval by the Monetary Authority of Singapore and the High Court. Oxley Sanctuary Pte Ltd in the purchase of McDonald's Place at King Albert Park worth S$150 million and subsequent sale of units in the project developed on the site. Tong Eng Brothers Pte Ltd and its related company in the collective purchase of the 26-unit Cai Garden, a residential development at Foo Kim Lin Road for S$43 million. The collective sale was made by private treaty with the agreement of all owners. The purchasers, a consortium of investors led by niche property developer Roxy-Pacific Holdings and including Macly Capital, Pinnacle Assets, Fission Holdings and architect Chee Hsian Sing, in the acquisition of Marina House (a 21-storey office block) located in Shenton Way from the Hong Leong Group for S$148 million. Each party will have a 20 percent share in the purchase. Marina House has an 8.4 plot ratio and will be converted to a 42-storey residential development and involve the topping up of the leasehold interest. An Indonesian-related company in the completion of the sale of a strata-titled commercial building for S$27 million to the government of Kuwait. The sale contract was signed after more than six months of negotiations and in the midst of falling market prices, with a two-week completion period. There were unique issues, such as approvals from the Foreign Ministries of the respective countries, encroachments, and approvals from the Land Transport Authority, which made for a challenging transaction. WNS (Holdings) Limited, a leading provider of global business outsourcing process (BPO) services, in its transaction with Aviva, the world's fifth-largest insurance group with US$95 billion revenue in 2007. The transaction comprised a share sale and purchase agreement, backed by a master services agreement, to acquire Aviva's offshore BPO operations. The total purchase consideration paid to Aviva is approximately GBP115 million (US$228 million), subject to adjustments for cash and debt. The owners of Westwood Apartments in the collective sale of the development to YTL group for S$435 million. The owners of Farrer Court in the sale of the 618-unit development to Morganite Pte Ltd, a consortium comprising CapitaLand, Hotel Properties and Wachovia Development Corporation, for S$1.3388 billion. Amberville owners in the first-ever collective sale of old HUDC flats. OCBC in the grant of transferable loan facilities of up to S$480 million to a joint venture vehicle to finance its acquisition and construction of a mixed residential and commercial development on the land adjoining Jurong Point, Singapore. United Overseas Bank Limited in a grant of facilities valued up to S$132 million to a joint venture company to finance its acquisition and construction of a mixed residential and commercial development at One North, Singapore. A foreign fund in its acquisition of all 46 units in a residential development on a collective basis. Several banks in reviewing and drafting their template documents and security documents.